In this episode of Market Foolery, host Mac Greer, together with Motley Fool analysts Andy Cross and Jason Moser, look at a few of today's biggest business stories. Shopify (NYSE: SHOP) reported fantastic numbers -- for a growing business, at least -- and the market doesn't seem to care. A Bank of America Merrill Lynch survey found that professional investors bulked up their cash positions in a big way. Under Armour (NYSE: UA) (NYSE: UAA) reported strong international sales, but the U.S. picture remains weak. Ellie Mae (NYSE: ELLI) just may be going private in an all-cash buyout. Amazon.com (NASDAQ: AMZN) acquired router maker Eero, sparking Facebook (NASDAQ: FB)-adjacent concerns over just how much information the FAANG elite really gather from their customers. Tune in to hear more. David and Tom just revealed what they believe are the 10 best stocks for investors to buy right now... and Walmart wasn't one of them! That's right -- they think these 10 stocks are even better buys. Mac Greer: It's Tuesday, Feb. 12. Welcome to MarketFoolery! I'm Mac Greer, and joining me in studio, we have Motley Fool analysts Andy Cross and Jason Moser. Gentlemen, welcome! How are we feeling? Greer: Good! We're going to talk some Shopify, we're going to talk some Under Armour, and we're going to talk some Ellie Mae. No, Andy, it's not The Beverly Hillbillies. Greer: Ah, that's true! Going private! But don't give it away! Let's begin with the subject of cold, hard cash. A Bank of America Merrill Lynch survey found that professional investors took their highest cash positions in 10 years during the month of January. Andy, a lot of cash on the sidelines. What does it mean for investors? Cross: Well, they don't know anything more than you know, Mac. Cross: Here's the deal. We came off the worst Q4 in December that we've seen in a long time, so they're nervous Nellies. They're just thinking all negative. They moved to cash, looking for better prices. They got it in January. Maybe they deployed some of that. I'm not surprised by that. Tom Gardner and I have been tracking a metric that compares cash in money market funds to overall stock capitalization, and looking at that ratio as well, too. When that ratio gets somewhere into a level of above 10%, 11%, 12%, I start to get really interested in putting some equity to work. Historically, it's been somewhere around 10% or 11%. The lower it gets, it says that more people are interested in investing, so there's a little bit more euphoria in the markets. The higher that metric goes -- like we're seeing with these professional money managers hoarding some cash -- people are waiting for some better prices. That's a lot of capital that could come into the markets. Greer: Jason, along those lines, there are two ways to look at this story. One way is, "Wow, what do the pros know that I don't that they're all in cash?" The other way is, "Hey, what a great time to be in stocks if there's all this cash on the sidelines waiting to come into the market." Moser: Yeah. If you look at the way 2018 closed out, it does make sense. There was a lot of selling. The market finished on the downside. That money goes somewhere. It's not like it was rotating from sector to sector. The S&P in general had a bad year last year, and the last two months of the year were really bad. Moser: Yeah. That money goes somewhere. So, it makes sense the cash balances right now -- I like the way you're thinking about it. To me, it does sound like there's a lot of cash on the sidelines, people waiting for some bargains to come around. It seems like we're obviously in a very volatile time politically speaking, and headlines drive a lot of what the markets are doing day-to-day. Fundamentally still a lot of great businesses out there doing a lot of great things. Valuations really aren't all that out of hand when you look at it from that perspective. I mean, I have a pretty good chunk of cash myself. I'm ready to put that to work as well. I think it's a great time to be an investor to have your watchlist in order, because when those opportunities come, you want to be able to pull the trigger. Moser: The market's receiving the report, it looks like, fairly well to me. Going through the call and the release, this is ultimately a mixed bag. It seems like they're on the right track. My biggest problem is they've yet to fully convince me that they've got North America turned around. Greer: It's a big market. Moser: It is a big market. If we want to compare it to one of their competitors in the space, Nike just reported not too long ago, and North American sales were up 9% for the quarter. Under Armour sales were down somewhere the neighborhood of 6%, actually. So, clearly Nike taking some share, Under Armour losing some share. The nice thing in the call, Plank did note that he feels like North America has stabilized. The guidance for 2019 is for relatively flat, possibly a percentage or two of growth there. That's encouraging. We know internationally they're doing very well. A lot of good things going on. Their gross margin up for the quarter, projected to be up for 2019 as well. Inventory levels coming back down. They are doing a lot to get this business back in lean operating order like they promised they would do in 2018. Greer: You mentioned Nike. What's the argument for investing in Under Armour over Nike? I don't own either of them, but if I were to buy one, I'd be very, very tempted just to buy Nike. It seems like a much safer bet. Moser: I would say you're right. Nike would be a safer bet. Perhaps that's the argument for buying Under Armour. There's a risk-reward scenario there where you potentially could see outsized returns with Under Armour if they're able to right this ship, get North America back in order. We've come down pretty hard on them. Kevin Plank's made some pretty good blunders here over the past couple of years. Greer: He's kind of bombastic. Has he toned that down at all? Moser: He has. When you go through the call, you see that David Bergman and Patrik Frisk are playing bigger roles on those calls, able to temper him a little bit and really talk more about the business itself. For investors like us, that's what we really care about. I'm less about the bombastic speech and telling me how you're going to change the world and more about, show me the numbers, show me the business, tell me how you're going to execute. It sounds like they've got this thing in order. They've hired a chief culture officer, Tchernavia Rocker, who spent 22 years at Harley-Davidson. A great track record there. Moser: To me, that tells me Plank is serious about really building a long-term, sustainable company where people want to be. If you can do that, Under Armour's brand is still extremely powerful in this space. One final point, we talk a lot about connected fitness and how they'll probably eventually write this off. Connected fitness is not going away for Under Armour. It was $30 million in revenue for the quarter. It was profitable for the full year. It really is going back to the point of those acquisitions in the first place, to figure out what their customers really want and make new products so they can sell more stuff to their customer base. There are reasons to be optimistic. I think, again, we're seeing signs of things stabilizing. I'd say cautiously optimistic, and that's about as far as I'm going to go with it. Greer: OK, let's talk Shopify. Shares down after the company reported fourth quarter earnings. Shopify is a behind-the-scenes e-commerce platform that allows businesses of all sizes to set shop up online. Andy, a lot of us don't know that name, Shopify, but if we're online, there's a good chance we're interacting with a business that uses Shopify. The stock has been a long-term market-beater. What do you think of the latest news? Cross: It was a fantastic quarter, it's just that they're going against their own great growth expectations. They saw growth in sales of 54%. Their subscription solutions, so their monthly subscription solution sales, were up 42%. Their merchant solutions, these are two businesses that Shopify thrives in, merchant solutions, which includes shipping, Shopify payments, their Shopify Capital business, that saw 63% growth. Overall, the continued growth story at Shopify has been fabulous and it continues. Greer: And they're losing money, right? You say the word "fantastic," but then I see the headline about this fourth quarter loss, and I'm like, what gives? Cross: You don't look fantastic. You don't look nearly as fantastic as Shopify. This growth story continues. Their expectations for a little bit slower growth might have got some investors a little bit spooked, and that's why the stock is selling down for the first quarter. But this is a company that has always outdone its own expectations, and it did this quarter as well, too. When I think about the long-term opportunity to provide e-commerce solutions to more than 600,000 clients around the world, the Shopify platform continues to get richer and richer. Now, when you look at a stock that's done so well, and it sells at 16 times sales, compared to something like Salesforce at 10 times sales, and Shopify is reminding me a lot of Salesforce. It has a young founder-leader in Tobi Lutke, who, by the way, said that Shopify was the fastest-growing company to $1 billion in sales of all SaaS companies of all time. It reminds me a lot of Salesforce and it's a little bit more expensive than Salesforce, but for the growth picture and for the opportunity, I still like Shopify long-term. It's a long-term holding of The Motley Fool. We've done very well with it. The growth prospects continue to be really impressive, especially how they're continuing to innovate and provide these client solutions for these customers around the globe. Greer: OK, I was giving you a hard time. But when I see the headlines here, that they reported a fourth quarter loss, how do I square that with everything you just said? Do I look at that as, Shopify is investing and I'm going to give them a wide berth, just like people gave Amazon over the years when they were losing money? Or is this a loss to be concerned about? Cross: No. It's an accounting loss. They're still generating cash flow and they have a load of cash on the balance sheet, more than a billion dollars in cash on the balance sheet. So, yes, they are making a loss, but they're making these investments for the long-term. This is the way that a lot of these growth companies invest their cash, invest the money they make from their sales. The operating profit on an adjusted basis was up a little bit this quarter vs. last quarter. If you account for some stock-based compensation, they're actually making a little bit of money. But yes, they are investing a lot into the business. Moser: We see this with a lot of the businesses that we cover. You can tie this back to the initial conversation we were having about a lot of cash on the sidelines. These are the types of growth companies that have these neat futures that we love to think about. But, it's worth remembering, as you noted, they're not profitable yet, and profits do matter. We look at the fundamentals of the business, the cash they generate, and we can see that three, five years down the road. It's also worth remembering that Wall Street, for better or worse, is focused on an earnings per share number. Most of these companies are valued on earnings multiples, and when they're not, it requires a little bit more context, which Andy gave to us. Again, a company that owns a lot of the market it's pursuing, it just has to really invest a lot upfront to build out that product. Cross: I'll just say, they have a little bit of flexibility on the profit side to dial down or up their investment. It's just like we saw with Netflix over the years. Right now, they continue to invest, and Tobi continues to invest back in the business and recede on the growth side. Moser: You think about how big that market opportunity is. I mean, you're talking about e-commerce writ large. The entire world, basically. That's a massive opportunity. I like looking at that market opportunity, putting our investments into that context, because it really gives you an idea of how far they potentially could go. Greer: Ellie Mae may be going private. Jason, you gave me that line. You guaranteed me that that line would work! And I'm not sure it did! Greer: So, Ellie Mae is a mortgage software provider. It's being acquired by private equity company Thoma Bravo in an all-cash deal at $3.7 billion. Jason, I know this is a company you follow. Shares of Ellie Mae up big today. What do you think? Moser: It is, it's one I was chatting with Simon Erickson back in Texas here earlier about, it's one that he and I covered on MDP, one we owned in MDP, owned for quite some time. It's not a shock to me to see this. Their Encompass lending platform is really strong. Chances are, if you've bought a home or refinanced your home, some of, if not most of those documents you've signed were generated from Ellie Mae's Encompass engine. They have a very good business there. Growing relationships with lenders, switching costs grow over time, pricing power comes from that. It's an attractive business. I'm sad to see it go. It's worth noting, there's a 35-day shop around clause for Ellie Mae management. That means the board can go out there and at least look at other potential suitors if they feel like there's a better offer out there. Take that with a grain of salt -- $99 in cash is a pretty good offer for today. Moser: Far be it for me to advise shareholders what to do. I have the luxury of basically having to hang onto my shares anyway because we'll be talking about it for a while and our trading guidelines here tell me that I need to hang onto those shares until I shut up about it. I would not sit there and tell you that there will not be a competing offer. It's an attractive business. It generates a lot of cash. I can see a competing offer coming in. I think that right now, the state of the housing market is just uncertain enough where Ellie Mae management might feel like this is a good offer. Particularly, listen, they've got earnings coming out on Thursday, so they may drop a bombshell on Thursday that could make this offer look really nice. We just don't know. Greer: Let's talk some Amazon. Amazon is buying the router maker Eero. Andy, this is just Amazon's latest push into the smart home market, Amazon last year buying the video doorbell maker Ring for around $1 billion. Cross: A continued push into having more influence in that space. Obviously, it's a tiny drop in the whole Amazon story. What's interesting to me is the ability for Amazon to recognize through their own platform what is working, what is selling, what has the best reviews, how much data they're collecting on Eero that was selling versus their competitors and be able to make an attractive offer. Now, we don't know what the price was. The last Eero valuation was around $250 million, and they took on about $100 million in financing over the years. I'm sure their investors got a nice return on this. A small move for Amazon, yet it does speak volumes to the direction that Amazon is going when they want to have more influence on the shopping habits and the online presence habits in our own homes. Greer: Jason, we were Slacking before the show today and you posed a really interesting question. It's not a question I understand completely, so I want to put it back at you, but I want to pretend that I came up with it. OK? Are you good with that? Greer: OK. Here's the question. At what point does Amazon start becoming Facebook? What do you mean by that? What do I mean by that? Moser: [laughs] We've been talking a lot about Facebook and privacy. That's been really the conversation du jour for about the past year, it seems. It's becoming more and more obvious every single day that we basically can't get around in our day-to-day lives without dealing with Alphabet, Facebook, Amazon and/or Apple in some capacity. Moser: -- maybe you are because you're buying stuff from Amazon. It's just something to think about. We've talked a lot about Amazon, we've been putting Amazon in this positive light for so long. Let's flip the coin a little bit, look at the other side, and think, "What does it take for people to really start becoming more and more apprehensive about allowing more Amazon in their lives? What's the line?" And I feel like I'm getting kind of close to it. After we were Slacking, my line was going to be, if my Echo in the house chimed in with her opinion unsolicited, that was going to be my line right there. But it's worth posing. We've been talking about this stuff a lot with Facebook. Let's be fair and talk about the other companies that are in this same arena. Amazon's one of them. Alphabet is another. Cross: I mentioned about the data that they're collecting on all the shopping habits, but their advertising business is just starting to ramp up. We saw this last quarter as they continue to become a bigger and bigger player in advertising, advertising on their platform. This is going to be a bigger push into the privacy concerns that have hurt Facebook over the last couple of years. Jason's right. The privacy issues are now facing Facebook, and in this example, is another case that people may point to, like, "Wow, my privacy is becoming more and more dominated into fewer and fewer players in technology," and Jason named those earlier. Greer: Along those lines, do you think people are getting more and more comfortable with giving up their privacy? Or do you think people, on some very basic level, just don't realize how much of their privacy they've given up? Those are two very different scenarios. Moser: I think generally, they realize it. I think most people are just lazy. I would put myself there. We're all, as humans, creatures of habit. Technology has made us lazy. It's really tough to put that toothpaste back in the tube. We're going to figure out ways to justify it for the sake of convenience or what we really want. People will frame it however in their minds. "Oh, I don't have anything to hide anyway! What are they going to get from me? Privacy, shmrivacy!" Privacy means something different today than it did 20 years ago, no question about it. But generally speaking, once you start really engraining human behavior the way these companies have, it's extremely difficult to undo that. Cross: I actually think we're on a little bit of the of top of the S-curve here. Maybe a couple of years ago, we were like, "Yeah, privacy, great! We value convenience more than privacy, and I'm willing to sell a little bit to these players, these tech giants, to get much more convenience." I think now, after all the turmoil with Facebook, after GDPR over in Europe, we saw the fine hit Alphabet in the past couple of weeks, people are going to start pushing back a little bit more and more. We've already seen it, clearly, with Facebook. I think we're going to start seeing on the consumer side a little bit more. I think Amazon will continue to be more and more relevant in our lives over the next five, 10 years. But I do think consumers will start being a little bit more careful about what they're willing to give up. Moser: I think it's figuring out, at what point is it over-convenient? A good example there would be something like those Amazon Dash buttons. Those little buttons you'd buy, you'd put it on your washing machine and you just push a button to order more laundry detergent or whatever. Do you really need that? Is it that difficult to open your phone and just click buy? How lazy -- that's an example. Now, I don't know that those Dash buttons have really gained a lot of traction. But I will say, having tried them in our house, we tried them, and I thought, God, how lazy have I become where I can't just open my phone and order it? To Andy's point, I think there is that line there where convenience is almost like, "All right, that's a little bit beyond convenience. I don't need it." There is a line that people will draw, it's just a matter of where it is. Cross: At least that's active, whether it's opening your phone or pushing that button. I think on the passive side, that's where the concerns are going to start coming in. We're already seeing it a little bit with AI, artificial intelligence. When they start providing solutions, when people are listening constantly to conversations -- Jason made the joke about when the device is all of a sudden offering their input. I think that's where the concerns are going to start coming. It really does come mostly, I believe, in the smart home, where the concerns will be. This is exactly the direction that Amazon's going into with the Eero acquisition. Greer: That's the part that scares me. It's not what we know, it's what we don't know and we find out later and we are like, "Wow, I had no idea that that Dash button was walking my dog." Moser: We're finding out more and more and more as time goes on. It may sound ridiculous on the surface, but who knows what kind of information that little Dash button is gleaning. And then, look to a company like Control4, where the entire business is founded on the smart home and getting that hardware and operating system into your house. How much are you going to trust any of that stuff. At least with Amazon, they have a lot of different levers to pull. Something like Control4, maybe not so much. It's interesting to watch this all evolve. Greer: Let's close with a story about a company name Chegg (NYSE: CHGG). Jason, I didn't even know about this company. I'd never heard the name. That's part of what makes life interesting. Discovery is the spice of life, or, it's one of the spices. Chegg is an education technology company that offers online textbook rentals, homework help, online tutoring, scholarships, internship matching, and the like. Chegg shares up around 9% today on earnings. This is not a small company. This is between $4 billion and $5 billion. Moser: Speaking of spices, let's talk a little bit about McCormick, Mac, because that's really a business that's -- Just kidding, everybody! All right, Chegg. This is a company I've covered for a number of years. I started following it back in 2014 because it was interesting to me from a parent's perspective. Having gone to college, I saw what they were doing. The basic business back then was selling college textbooks to students, and then they got into the business of renting college textbooks to students, physical books. What really struck me, the damning chart for the case for this business, was the absurd increase in the price of college textbooks through the years. You go back to the mid-'70s, the prices on college textbooks were outpacing medical services, new home prices, even the CPI. If you think about it, that's extremely backwards. When you're a student, you don't have a whole heck of a lot to put on the line, and we're trying to educate our young population to be able to go do more things. We can't put them behind the eight ball by making it so they can't even afford their books. What they did -- and really, I give all of the applause here to CEO Dan Rosensweig -- was basically pivoting this business to a digital business. Instead of being physical books, let's start going beyond books, let's develop a network, a full-on offering of all sorts of different services, from digital books to tutoring services, you name it, their Chegg Services business has it. Now, they're bringing on students beyond college students, we're talking about middle school and high school students, bringing them into that network. They educate people on how to pursue student loans, grants, things like that to get into college. To me, it's an example of a business that saw a lot of inefficiencies in a very important demographic in students and decided to try to eliminate as much of those inefficiencies as possible and return a lot of value. With all that said, my one real concern with this business, because they make most of their money through that Chegg Services, which is subscriptions, students aren't known for having a whole heck of a lot of money, so the pricing power on that subscription may be a little bit questionable. And, the stock is not cheap. It's not like it's a profitable business. It's trading at like 100 times cash flow. Take that for what it's worth. But this was a $6 stock five years ago, Mac. It's closing in on $40 now. Hats off to Dan for really turning this business around. Greer: Do you think five years from now, they're still chugging along? Moser: If you remember, Amazon got a little bit into the student book side of things. Barnes & Noble always was a player in that. I think therein lies the importance of Chegg diversifying their business beyond just books and really offering educational services, tutoring and whatnot. I really thought Amazon would be a natural acquirer for a business like this a time ago because it was a lot cheaper. To me, it seemed like a great way to get immediate access to an up-and-coming generation of Prime members who would be developing a relationship with Amazon at a younger age. That could still happen. I don't know. But it sure does seem like they're doing just fine on their own. Greer: Let's wrap up with the you-should-not-invest-this-way-at-home question, the desert island question. You're on a desert island for the next five years. You've got to invest in one of these vehicles. Here you go: cash, Shopify, Under Armour, Chegg, or Amazon. We're going to leave Ellie Mae out because Ellie Mae is going private, we assume. What do you think? Cross: I'm going Shopify. But I tell you what, Chegg is really interesting, Jason. Even though the stock's had a massive run, they've made a nice pivot in their business to the higher-margin, higher-growth opportunity. But, I look at what Shopify is doing. Yes, growth rates are trending a little bit down. But the profitability curve is going to come, even opposed to Mac's nagging at them about not being profitable. The growth picture for that market and the solutions they are driving -- I'm going to go Shopify. Moser: Yeah, for me, it comes down to Shopify and Under Armour in this case. I will go Under Armour with the main point being that it's a profitable business with a powerful brand already. I think they've laid some good roots in the ground for this business going forward. I think they have something here with new leadership and their CFO and COO on board with Kevin Plank. I think Plank is serious about building a company that can stand the test of time. I think he's a little bit humbled by the past couple of years. The risk-reward scenario for Under Armour today still makes a lot of sense. Greer: As always, people on the show may have interest in the stocks they talk about, and The Motley Fool may have formal recommendations for or against, so don't buy or sell stocks based solely on what you hear. That's it for this edition of Market Foolery. The show is mixed by Dan Boyd. I'm Mac Greer. Thanks for listening! And we'll see you tomorrow! John Mackey, CEO of Whole Foods Market, an Amazon subsidiary, is a member of The Motley Fool's board of directors. Suzanne Frey, an executive at Alphabet, is a member of The Motley Fool's board of directors. Randi Zuckerberg, a former Director of Market Development and Spokeswoman for Facebook and sister to CEO Mark Zuckerberg, is a member of The Motley Fool's board of directors. Andy Cross owns shares of Facebook, Netflix, Under Armour (A Shares), and Under Armour (C Shares). Jason Moser owns shares of Alphabet (C shares), Amazon, Apple, Ellie Mae, McCormick, Nike, Under Armour (A Shares), and Under Armour (C Shares). Mac Greer owns shares of Alphabet (C shares), Amazon, Apple, Costco Wholesale, Facebook, and Netflix. The Motley Fool owns shares of and recommends Alphabet (A shares), Alphabet (C shares), Amazon, Apple, Ellie Mae, Facebook, Netflix, Salesforce.com, Shopify, Under Armour (A Shares), and Under Armour (C Shares). 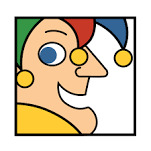 The Motley Fool owns shares of Control4 and has the following options: long January 2020 $150 calls on Apple and short January 2020 $155 calls on Apple. The Motley Fool recommends Costco Wholesale, McCormick, and Nike. The Motley Fool has a disclosure policy.